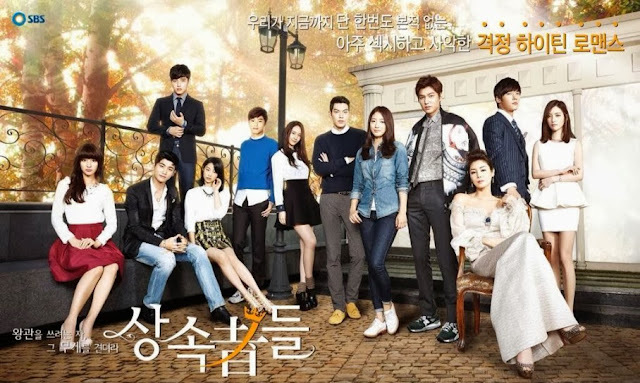 I'm only through the first three episodes of Heirs, but at this point feel like there's enough to weigh in my early thoughts on the drama. Overall, it's better than I expected, but there are flaws that occasionally peep through. It's better in that the plot plays out with surprising realism. Even though there's lots of ham-handed manipulation to get the heroine out to CA, there's a groundedness to her relationship with her mom and her sister. The Engrish is horrifying, especially in episode 1, but thankfully it slowly falls into the background. And Lee Min Ho's Kim Tan just drives the show with his mix of melancholy and girl-infatuation. LMH is the absolute master of soulful gazes, and he puts that to almost extreme use here. The thing though that most bothers me is how quickly and irrationally he fell for Park Shin Hye's heroine. I get that the whole premise of Boys Before Flowers is that the guy falls for the girl first, but it's kind of strange here because there's no sudden impetus for the crush (unless you count her standing under the sun in the morning, which frankly didn't make sense to me). She's also not terribly interesting as a character, which makes it even more confusing. The speed of this baseless attraction results in Kim Tan coming across as weirdly desperate and clingy in some scenes. You'd think a guy who lived alone in the U.S. for so many years could get by fine without some pedestrian Korean girl he's known for all of three days. But, if there's one consistency with all the recent Kim Eun Sook heroes, its their extreme levels of sudden attachment to their underwhelming heroines. Despite this, and perhaps because it's LMH, Kim Tan is pretty appealing and it's hard not to be sad for him when he's so clearly disappointed. Let's move on to the heroine. As I've mentioned before, PSH isn't an actress I've ever felt especially fond of. She's decent, but I'm not a fan of either her style of acting or the characters she's played. She does seem better here, but I think that's more a function of the lines she's given. 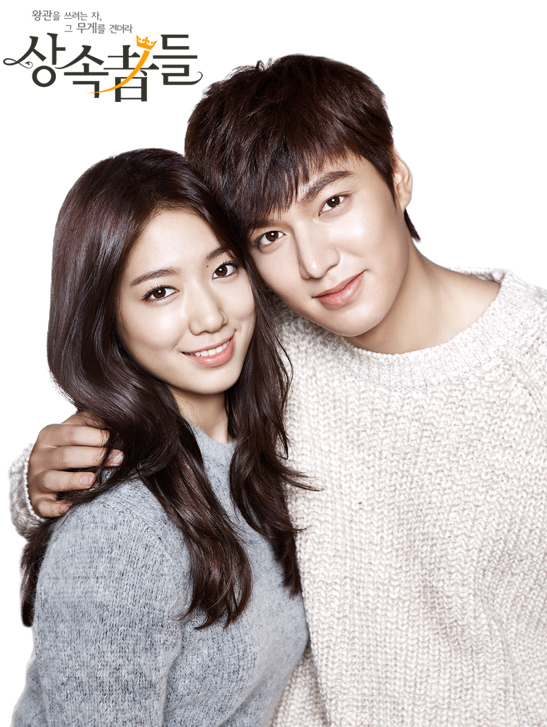 As for her chemistry with LMH, I was surprised by the easy rapport they have, especially in the more chatty scenes. It plays like a real-world chat between two flirty buddies. What I don't see though is the presence of any sweepingly deep attraction. I'm not clamoring for them to make-out or even be physically close, and in fact am a bit weirded out when the drama inserts those awkward, slo-mo close-proximity scenes (and please stop catching her). And all that geographically incorrect running...I feel like they ripped that straight from ISWAK, and definitely overused it. Please don't start running again across Seoul in future episodes. I've started fast-forwarding through most of the scenes with the side characters. There's so many, most of whom are literally screeching annoyances on the screen (ahem Krystal and Kim Woo Bin). Definitely no risk of second-lead syndrome here. I am really liking Rachel though, who's played with such an unflinching bitchiness that it's almost a thrill to watch. I can see the Blair Waldorf influence, but here it's not tempered back with any humor. I also just like her sense of style and poise. Generally, I'm excited for the upcoming episodes to delve further into Kim Tan and am curious to see how their relationship evolves back in Korea. I do unfortunately anticipate lots of excessive dramatics and forced separations.